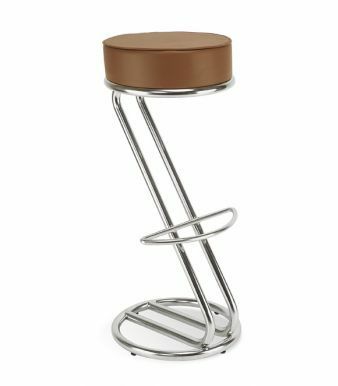 This stool is very comfy with an extra thick padded seat. 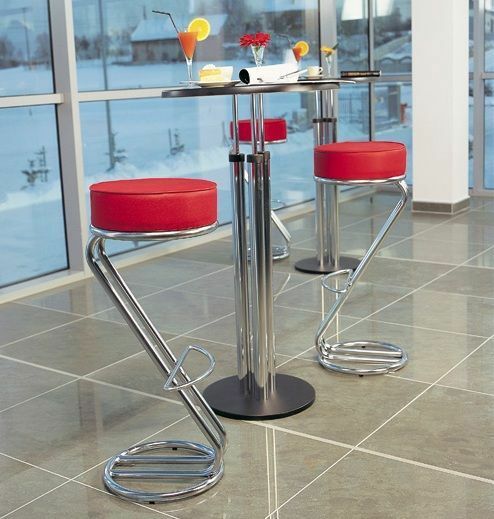 The stool is designed to keep your posture correct while seated. Choose from two frame colour options and a wide variety of fabrics. Designer bar stools in the Italian Zed design. The frame is in chrome or silver with a number of options for the seat including a range of colourful vinyl's. 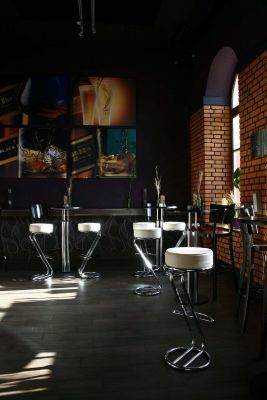 Zeta bar stools arte held in stock in the black vinyl with a chrome frame. Other options are offered on a four week lead time.